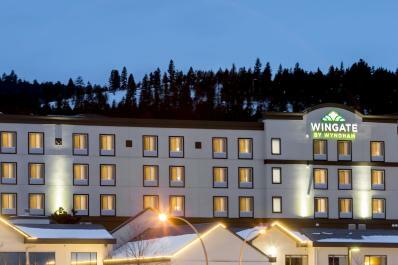 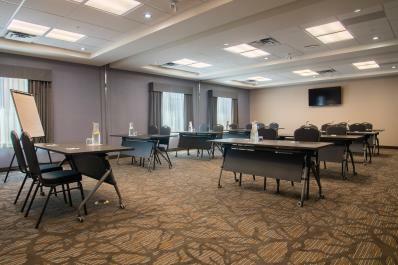 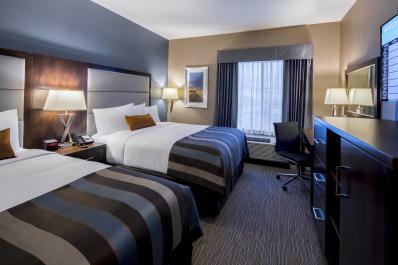 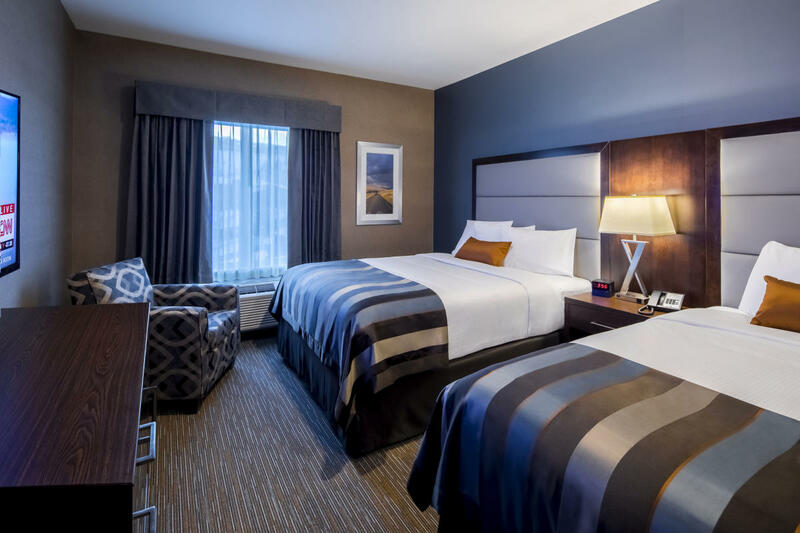 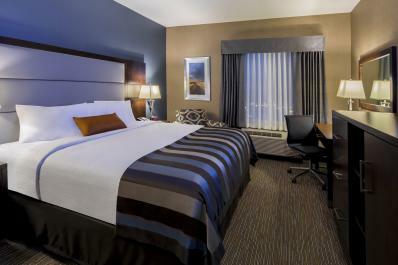 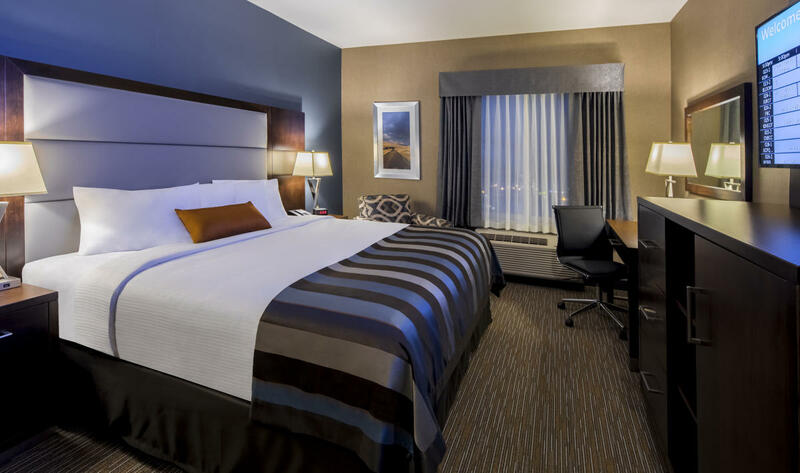 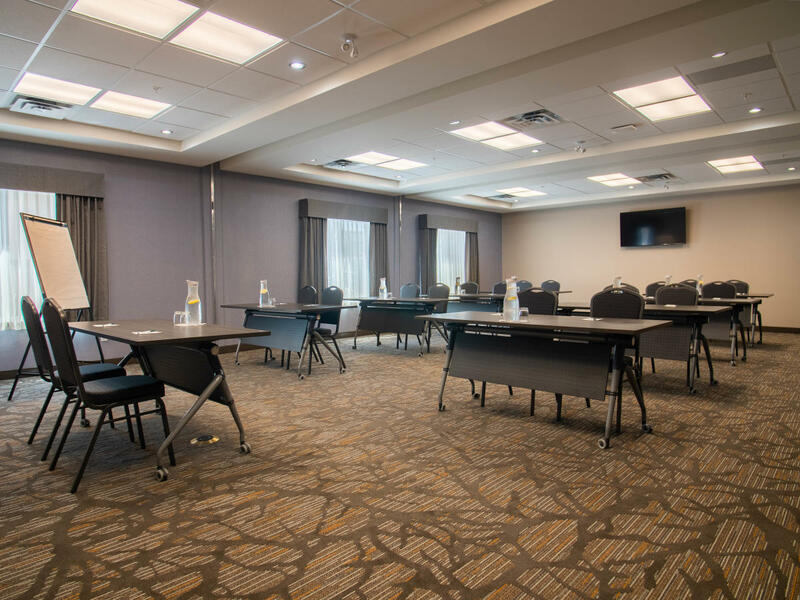 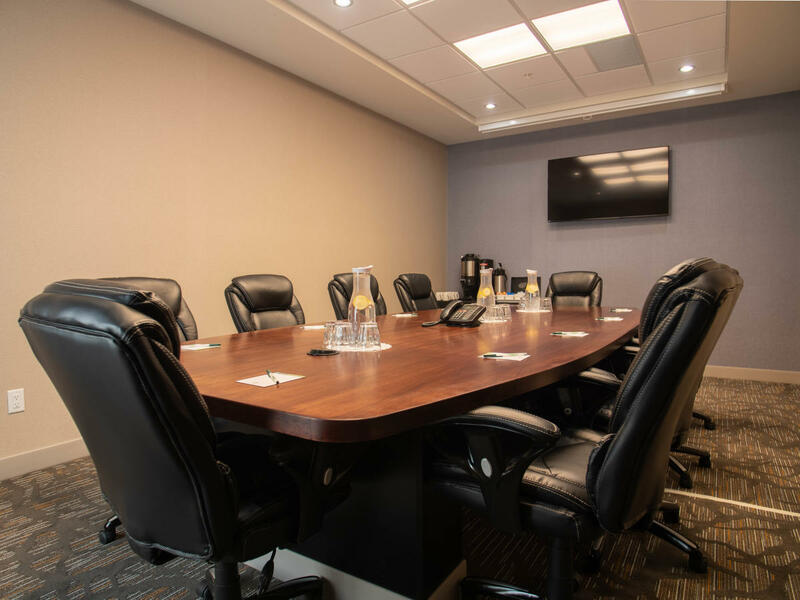 Kamloops Newest Hotel - Our 82 room hotel features everything you need for an efficient stay—from free hot breakfast and onsite laundry facilities to free WiFi and a business center. 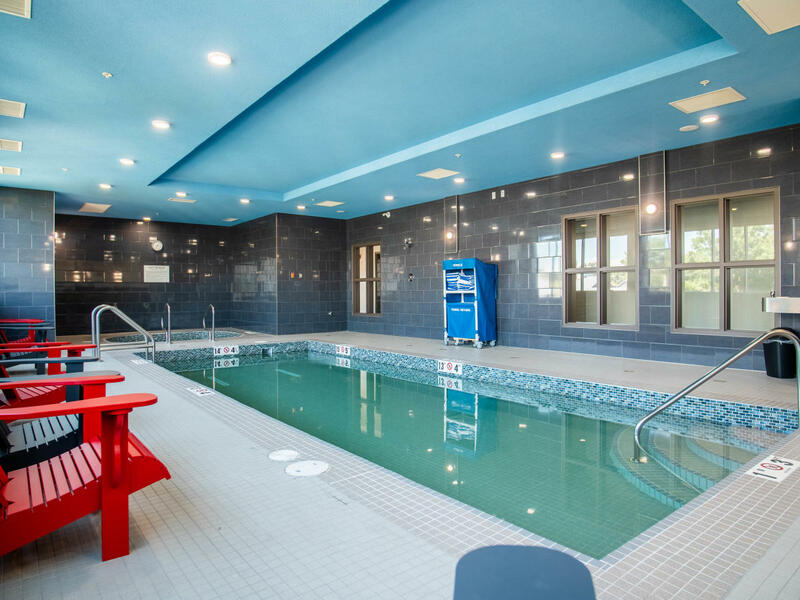 Plus, we’ve got extras to make your visit memorable, like a relaxing indoor pool and hot tub, and well-equipped 24 hour fitness center. 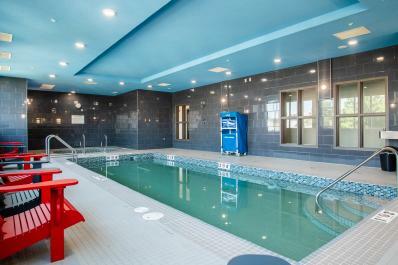 Forgot something at home or need a snack? 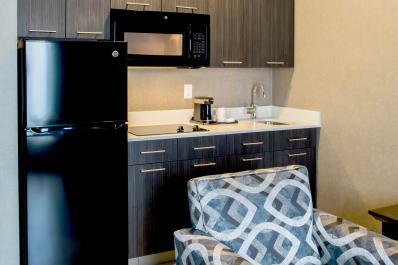 Our convenience store is stocked with on-the-go essentials. 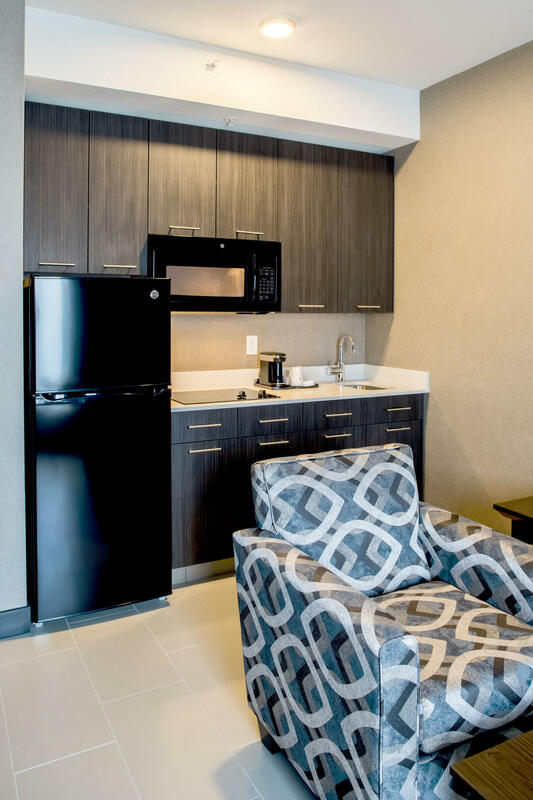 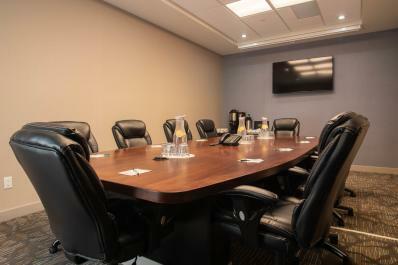 Each non-smoking room features a flat-screen HDTV, work space, microwave, mini-refrigerator, coffee and tea maker, safe, and iron and ironing board. We also offer pet-friendly rooms (availability is limited) for a small fee and free underground parking with electric car and Tesla chargers.